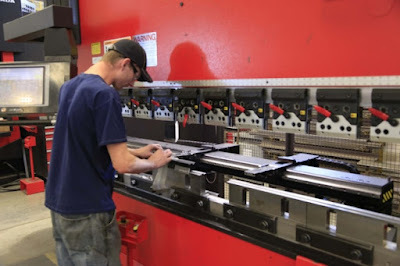 The last word in sheet metal and tube fabrication processes are “full electric” machines to remove any hydraulic units. As the cars electric machines started new era for general power equipment fabrication. The reason is quite important – the increase of the precision, control for every movements with the elimination of electricity consumption (which is quite expensive in Europe) and reduction of maintenance procedures. Moreover the electric is green technology with the absence of any waste of dangerous contamination liquids. There are no minuses for the electric technology but some blocks – for example more big investments for the equipment and limited powers and forces for the offered machines on the market. Today “full electric” is fashionable and high-technology term for all tube bending machines with CNC, press brakes with low and medium forces, CNC punching presses for sheet metal. “Fast, precise, safe, green” – all the words are actual for full electric machines marketing. Should we invest for “full electric” machine? It depends. Every investment is the subject for calculation of economy, production, possibilities and functions. It is the present technology today, very modern and innovative but the production factory is not the place to use the “fashion” but to get the economy stable flow with the use of different machinery. With some applications for higher precision “full electric” could be not necessary but very recommended but for other thing everything is in hands of the managers. 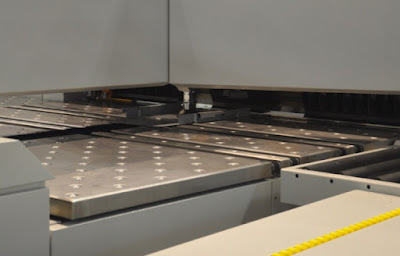 Small electric press brakes have very good feedbacks to proceed with small parts in high production and the replacement of the punch press can reduce in thousands the invoices amounts for electricity. 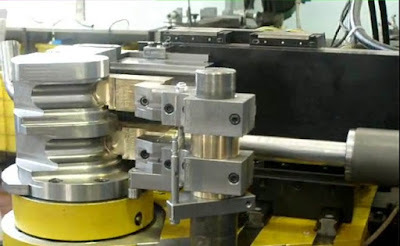 Servo-drived electric machines are also 100% controlled with CNC. It is important point for accuracies, complicated setups and important applications. Moreover the market started the turn for “full electric” so we should follow the world, right?